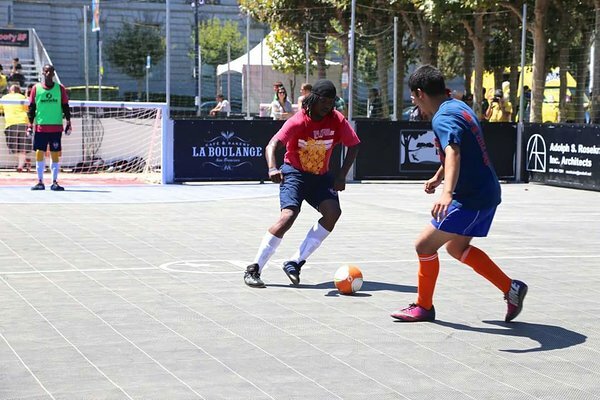 The PlaySoccer2Give community will support our charity partner Street Soccer USA at the Oslo Homeless World Cup financially by covering the cost to make this life-changing experience a reality for one player, Mark Walker. This week's proceeds will also be used to create a "generosity" fund for Mark to use on his teammates, coaches and friends while at the tournament. Let's meet Mark Walker from Street Soccer USA's Philadelphia program. Here he is at a SSUSA National Cup showing off some skills on the field. In less than a week he will be playing for Team USA at the Oslo 2017 Homeless World Cup! His dedication to achieving his off-the-field goals with Street Soccer USA for over 5 years has led him to be selected as one of the few men and women from across the United States that will travel to Oslo, Norway. They will represent SSUSA at the 15th annual Homeless World Cup with over 500 participants from 50 countries! PlaySoccer2Give leaders Adrian and Caleb will join the team in Norway and offer direct support to Mark and Team USA. We did a brief interview to better understand Mark's story and his soccer for social change journey. Follow us on Facebook & Instagram for realtime updates. 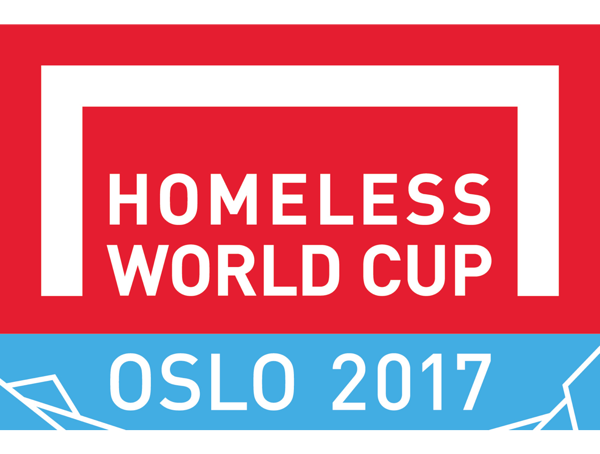 Watch live stream games at the Homeless World Cup. Read the full interview with Mark Walker below. Q: How long have I been with SSUSA? Mark: I’ve been involved 5.5 years as a player. I heard about the program through my brother-in-law who was living in the same shelter at the time. He encouraged me to attend practices because it would keep me occupied with a positive activity. Q: What is the greatest off-field goal I have accomplished while I’ve been with SSUSA? I think my goal of evolving as a productive member of society has been enhanced by my experiences at SSUSA. My worldview has opened up by the positive influences of the coaches, mentors and teammates; the environment of the soccer world showed me that there was a healthy exciting way to move forward with my life. Previous feelings of hopelessness changed once I got involved. It became my most important support system for building myself into a better individual. Q) What does it mean to you being nominated to represent SSUSA at the HWC? Being nominated has been an important achievement because my accomplishments have been acknowledged through the SSUSA community. Moreover, my feelings of pride from recognition as a leader and influential member of a team I love have been a major achievement. However, my goal of connecting the homeless community with opportunities through soccer, sharing my personal experiences, becoming a role-model to help others throughout the US have stood out as life lessons that are my most important take away messages. Q) What do you hope to take away from this HWC experience? My take away messages of learning that hard work and dedication contribute to success in ways I hadn’t known possible. Exposure to the world through the HWC has allowed me to experience different ways of life, different directions; cultures that I hadn’t realized existed. By having this chance to witness how much more there is to life than I had experienced or considered has changed me into a citizen of the world rather than limited me to the circumstances of my upbringing. Broadening my prospective and giving me a vision for the future is my hope for involvement in the HWC.